Citrus fruit contain a high percentage of water and are universally loved all over the world for their juice. Some popular citrus squeezed for their fresh juices include: lemons, limes, grapefruit, blood oranges, mandarins and clementines. From the breakfast staple of fresh orange juice, lemon juice that is a part of chefs’ mise en place in kitchens, to limes that are transformed at the hands of bartenders all over the globe, citrus fruit juices are a constant presence in our food culture. Ever picked up a bag of mandarins from the market only to discover when you get home that they are dry and cottony inside? Here are some tips to make sure you pick out the best citrus! 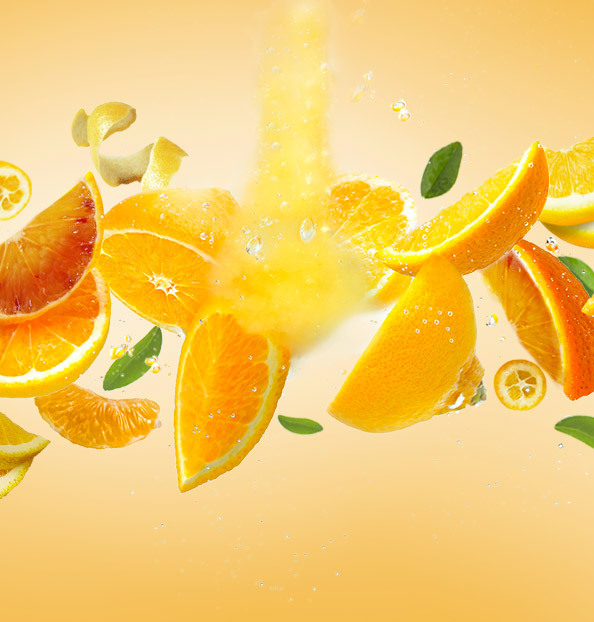 Look for what’s bright and colourful: underripe or overripe citrus will produce a bitter juice, so make sure that lemons, limes, oranges don’t have any green or brown patches. Feel heavy for their size: most of the weight of a citrus fruit comes from water, so a heavier fruit generally means it’s a good one for your juicing purposes. As fruit turns and perishes it dries out, with citrus that have thinner rinds more susceptible. Give it a little squeeze: it should give in slightly. This works better for smaller citrus such as lemons and limes. If it feels hard – it indicates an overly thick rind meaning less juice. If it’s too spongy, it means its overripe. A little trick from the pros to get more juice from your citrus is to roll your lemons, limes and oranges between your hands and the kitchen countertop a few times before you cut them open. This breaks down the inner cells (the endocarp) that contain the juice, consequently making it easier to get all the juice out of it!